Earn 369 loyalty points when you order this item. 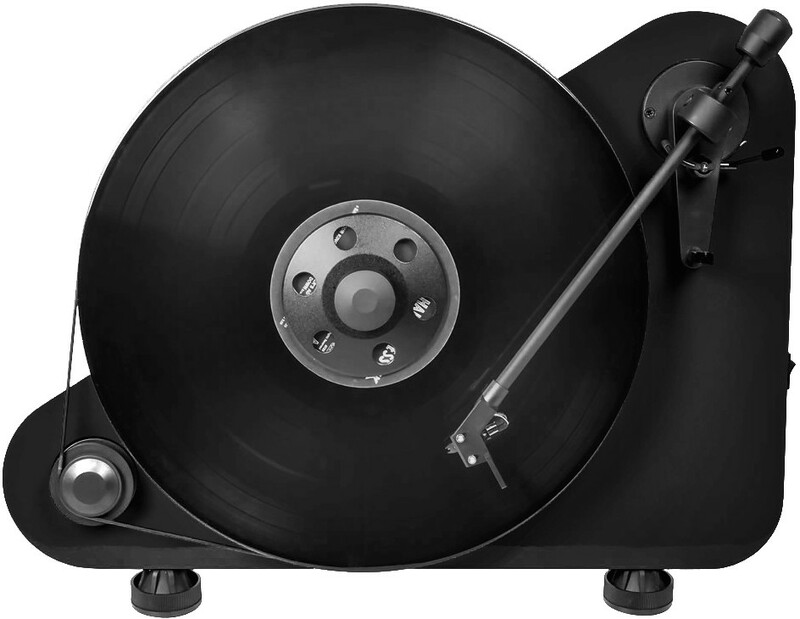 Pro-Ject VT-E BT is a bluetooth version of the standard Pro-Ject VT-E model, a striking hi-fi turntable that sits and plays vinyl vertically (as shown in the picture). 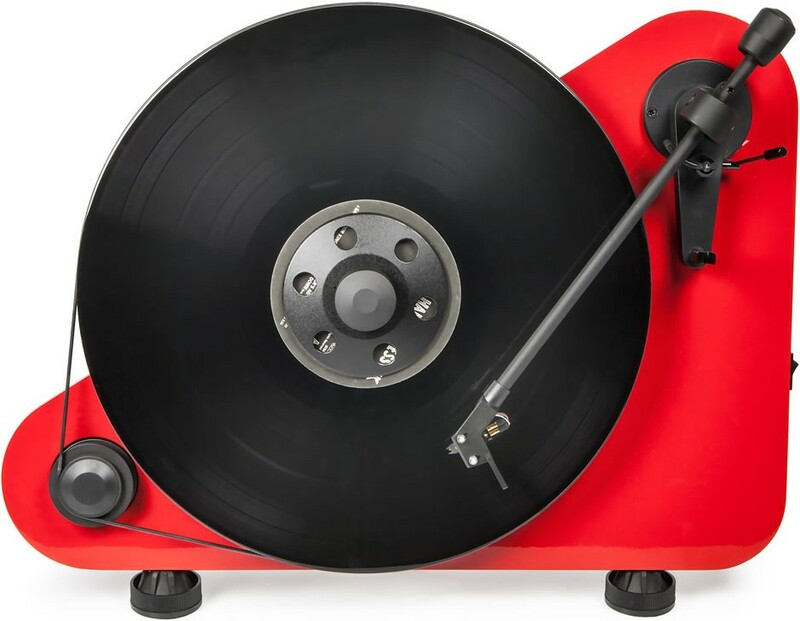 With the added bonus of Bluetooth compatibility, you can connect this turntable directly to hifi active loudspeakrs if you wish, making a full vinyl/bluetooth system. Of course you can also connect to your integrated amplifier and the Bluetooth connectivity is still a bonus so you can stream music from your device when not playing records. 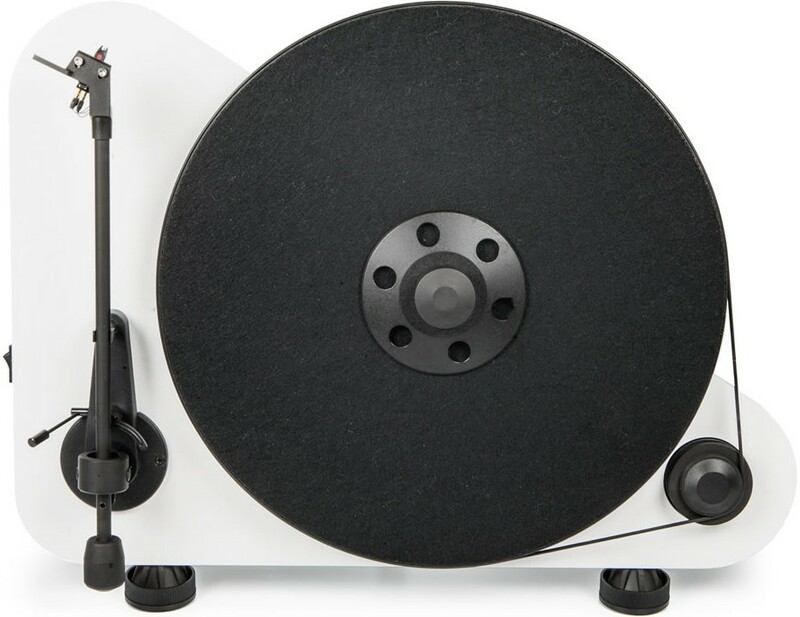 This is one of the easiest vertical turntables on the market to set-up and even includes an option to wall mount it. 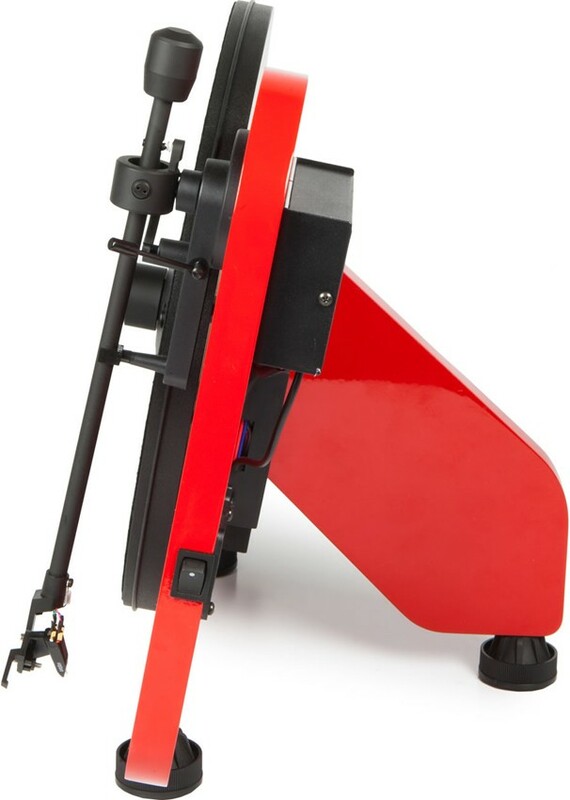 A turntable set-up does not need to be complicated like rocket-science, our VT-E BT turntable proves that. 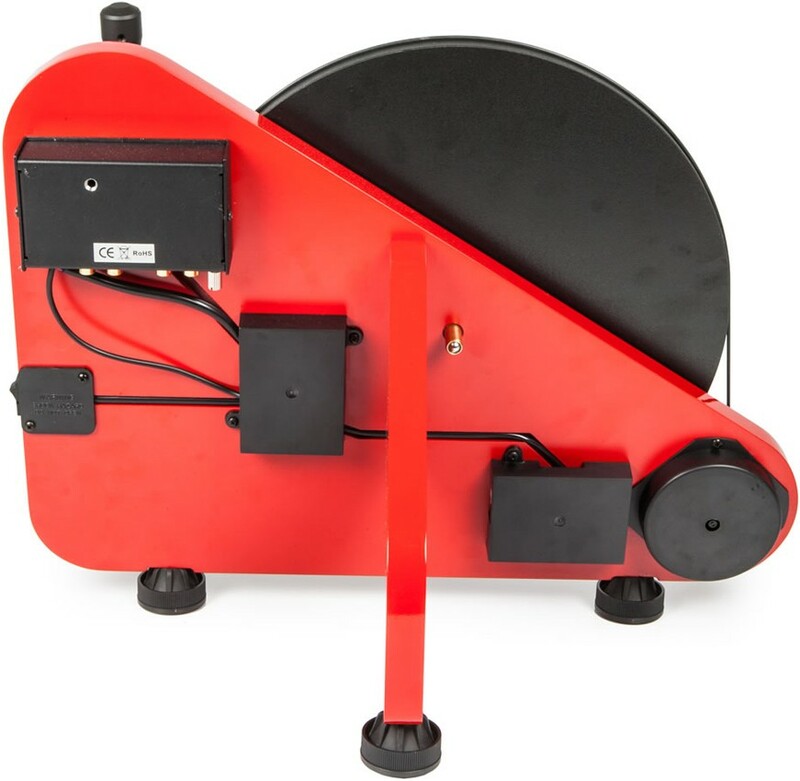 This good sounding belt-driven deck offers the fastest possible installation process because it comes pre-adjusted out of the box. No further set-up is needed. Tracking force and anti-skating are carefully set. The VT-E BT turntable can be positioned on a table or mounted on a wall. For further ease of use, it comes with a phono pre-amplifier and Bluetooth transmitter. So even a wireless solution is possible! You can use both Bluetooth and RCA output at the same time. 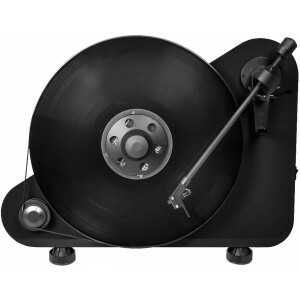 VT-E BT, the world’s first wireless turntable, is available in black, red or white high gloss colour.